After three years of litigation, Public Justice and its allies have won a resounding victory for both workers and the environment. A settlement was announced last week between our clients, Hanford Challenge and UA Local 598, and the Department of Energy and its contractor, Washington River Protection Solutions, concerning toxic vapor exposure at the massive Hanford Nuclear Site in south-central Washington State. Our co-plaintiff, the Washington State Attorney General, was also a party to the settlement. Hanford Challenge and UA Local 598 were also represented by Smith & Lowney and the Terrell Marshall Law Group, both of Seattle. The settlement will help protect workers at the nuclear clean-up site from exposure to toxic chemicals. 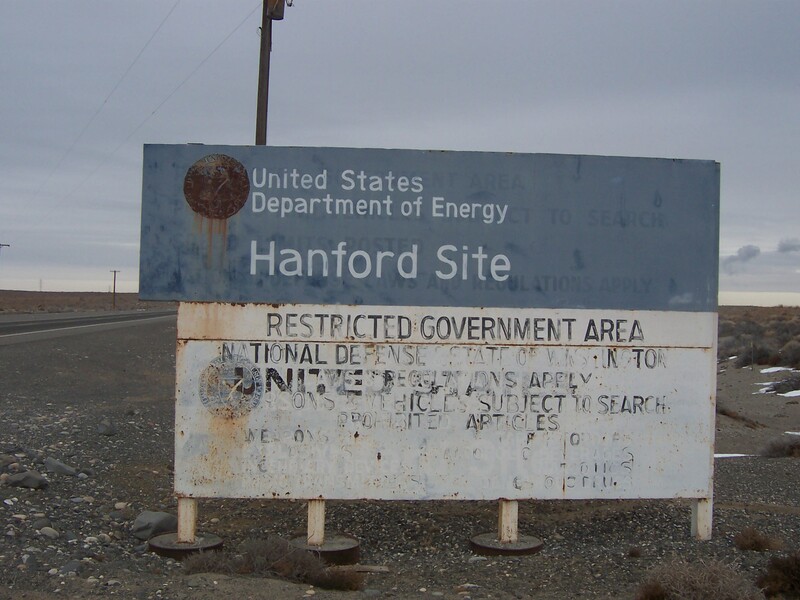 The Hanford site covers 586 square miles, and includes tank “farms” that store over 56 million gallons of radioactive and hazardous waste generated by the production of plutonium for nuclear weapons. Plutonium production occurred from the Manhattan Project in 1943 to the closure of the site’s last reactor in 1987. After the closure, the Department of Energy (DOE) began a clean-up effort that has so far cost over $113.6 billion. Workers at the clean-up site were routinely exposed to toxic vapors released from the tanks. Vapor exposures have caused several workers to suffer permanent disabilities, including brain damage, reduced lung capacity, cancer, and death. Public Justice filed suit in 2015 under the Resource Conservation and Recovery Act, seeking to force the DOE and its contractor to implement safety measures recommended by their own experts to adequately protect workers from these vapors. The settlement to that suit, enforceable in federal court, includes enhanced workers protections, as well as increased monitoring and transparency, a commitment to capture and treat toxic chemical vapors, and commits DOE and its contractor to cover litigation costs. As Smith & Lowney attorney Meredith Crafton stated, “this case changed the regulatory landscape at Hanford,” and the “settlement provides immediate protection from toxic tank vapors for Hanford workers.” Enhanced worker protections include a renewed commitment to respiratory protection for workers, installation of an exhaust ventilation system, and enhanced pre-job safety reviews. Hanford must also conduct a comprehensive review of medical data from workers, and will provide individual-related data to workers upon request. Other key terms of the settlement include the implementation of a vapor monitoring system, disclosure of vapor sampling data, publicly available information about Hanford health procedures, and an agreement to accept and respond to technical input from the plaintiffs’ experts. Click here for Public Justice’s video featuring workers and family members discussing the impact of toxic vapors at Hanford.